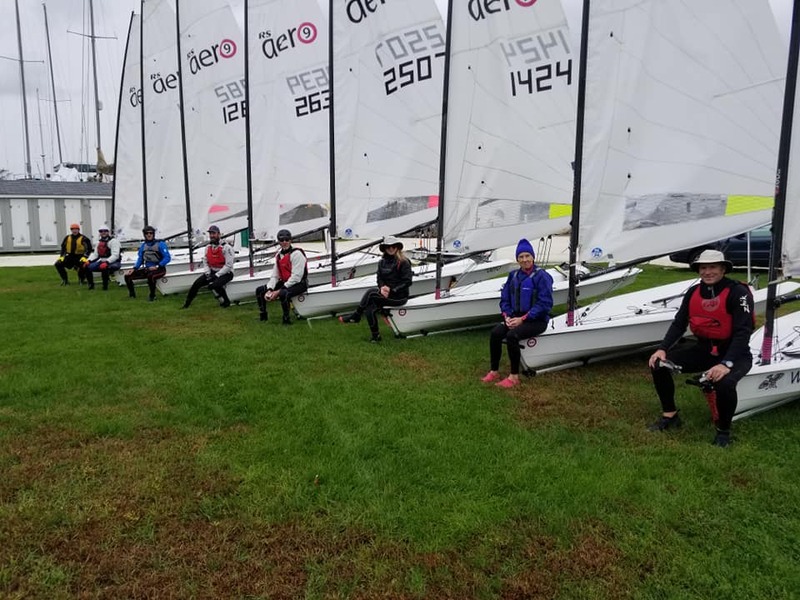 The Second Annual Quahog Dinghy Regatta at Bristol YC in historic Bristol RI was held on Saturday October 13. Sailing on famous Bristol Harbor, enjoying (still) warm water and great fall breeze. The wind graph in Bristol Harbor showed basically 2-20mph. Something for everyone! Everybody sailed RS Aero 9 rigs except for Melissa and Sally in 7's. The 7s had a 30 second per lap start in every race except the first one. Chris and Sally won two races. Marc won the other three. The racing was really close and exciting! Next up - This was a great warm-up day for the start of the RS Aero frostbiting season in Bristol in three weeks time. Come and join us. Only $100 for the whole season including boat storage. We expect to have a loaner RS Aero available too, so if you don't yet own an Aero you can still come and race with us to try out the Aero.